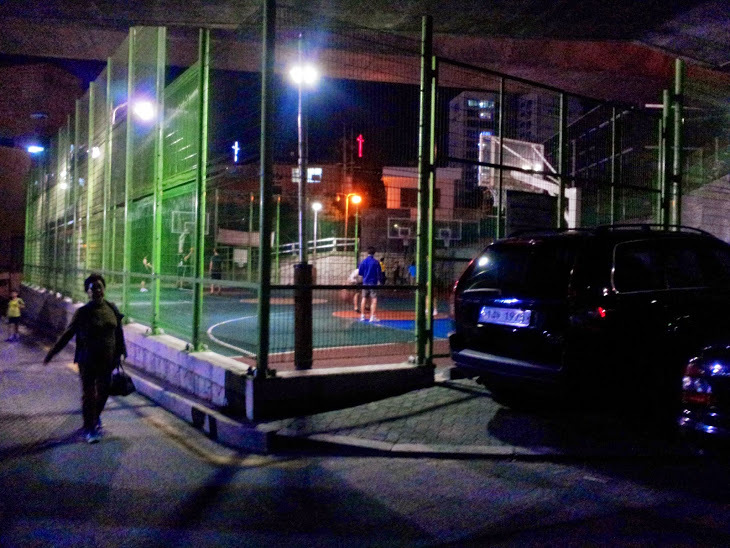 Underneath Naebu Expressway lies the ‘Rucker Park’ of Korea. 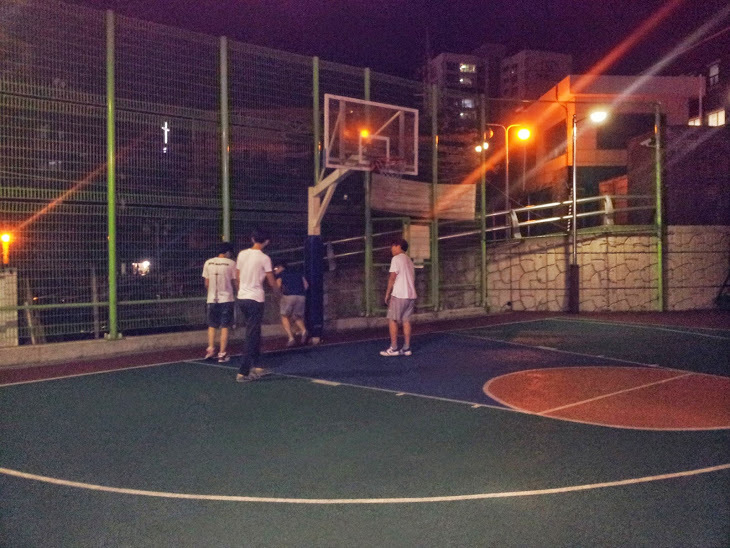 A truly urban basketball court. 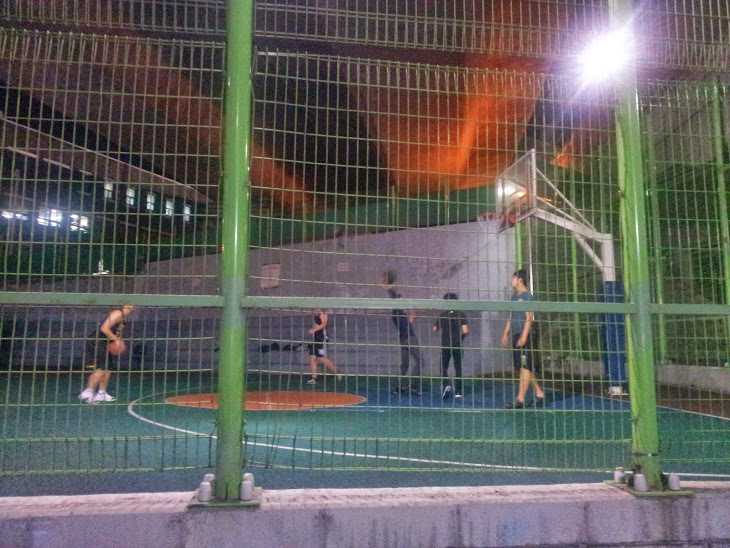 Surrounded by a green fence, dimly lit, the Hongje Basketball Courts seem like they’ve been taken right out of NBA Jam or Hangtime. One word: Ball! That's all you need to know. 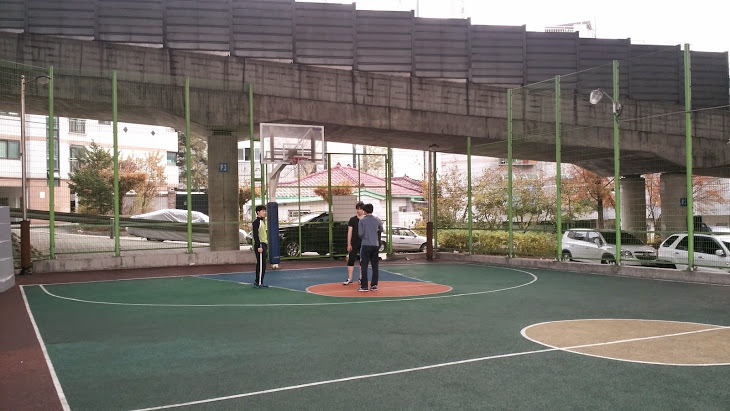 Similar to Myeongji University’s courts. It is a soft top. Kind of like the artificial turf they use for football fields. Its not too bad on the knees and the grip is adequate. Hongje should be visited just for the courts. 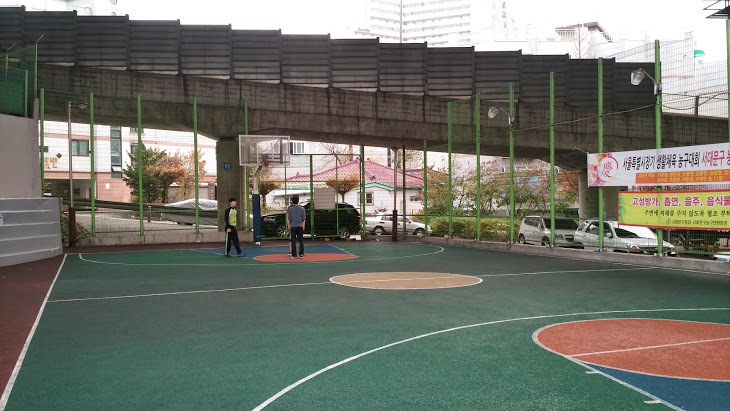 Tucked away underneath a highway bridge, you won’t find this type of court in many places. The rims are also unofficial height. They are a bit lower. This adds to the ‘Hangtime’ experience. The locals are also super friendly. They’ve also figured out the nuances of the rim, so be ready for some	‘cheapies’. They have a ‘homecourt’ advantage here. Playing under a highway is not to going to do wonders for your lungs. The courts are tough to get to. The competition can also vary. Certain days you might find a group of twenty-year olds playing. Other days you may get better competition. The local senior citizens' home has a team that uses the courts twice a week to practice for their rec league. BALLIN'! Need more be said? To see more photos of The Court in Hongje, check out The Seoul Stop's photo album. -Take Bus 110A, 110B, 153, 7018, or 7730 to Seoul Women's College of Nursing (Bus Stop ID 13-169 and 13-168). From the bus stop, walk towards the S-Oil gas station. The ramp leading to the court is on the opposite side of the street from the gas station. You will see banners in Korean that have basketball pictures. Follow the signs.